Coming to Webster’s Import Service in Greensboro is like coming to a friend. We’re looking out for you and your vehicle at all times. It’s all about getting you to your next destination safely and without any concern for your vehicle’s overall performance.  Our secret to maintaining your vehicle’s condition is treating every maintenance service with the same commitment to excellence. We pay attention to the details when performing any oil changes, lube services, tune-ups, check engine light diagnostics, wheel alignments, and more. Our ASE Certified techs use preventative maintenance services to make sure you’re never without your vehicle. Imagine that! Never being without your vehicle because Webster’s Import Service techs kept a watchful eye and skilled hands under the hood. That’s all any of us want for our vehicles– trouble-free driving experiences. We’ll use your vehicle’s age, your driving habits, and the manufacturer’s recommendations when designing an effective maintenance service plan. Vehicles can be subject to malfunctions and auto repair needs from simple wear-and-tear. 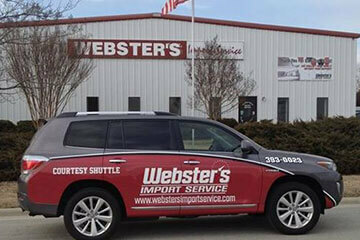 If you need someone you can trust to take a look at your import, then there’s no better facility in Greensboro than Webster’s Import Service. We don’t treat your Audi, BMW, Mercedes, Volvo, Jaguar, Acura, Lexus, or any other import like every other vehicle in a general repair shop. Our specialists understand the unique design, performance expectations, and exceptional manufacturing of your import. So we should be your first stop for any import auto repair needs that arise. We handle anything from simple routine oil changes to complicated engine and transmission repairs. The sooner you bring us your questions and concerns about your import, the faster we’ll have you back on the road at peak performance. We can handle any vehicle’s repair needs, but we specialize in your import’s engine, mechanical, and electrical system repairs. 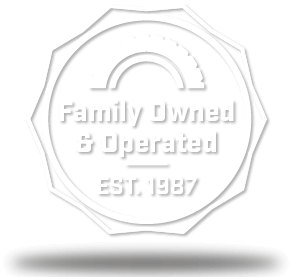 Bring us your foreign auto’s brakes, battery, suspension and alignment, A/C, exhaust system, shocks and strut, radiator, or any other major or minor repair need. We got you covered! Schedule Your Import’s Auto Services Today! We keep the factory scheduled maintenance and repair service for your import as easy as possible. Not only are we the most qualified and highly skilled foreign auto technicians, we strive to fit our top-notch services into your life’s schedule. Take advantage of our courtesy shuttle, excellent service warranty, and friendly staff. Give us a call today at 336-393-0023 to schedule your import repair service. To save yourself some time, you can go ahead and pick a day and time right now, using our convenient online scheduling system. Next time you and your import are in the area, feel free to stop by and meet Greensboro’s best foreign auto technicians. We look forward to meeting you, serving you, and servicing your import.